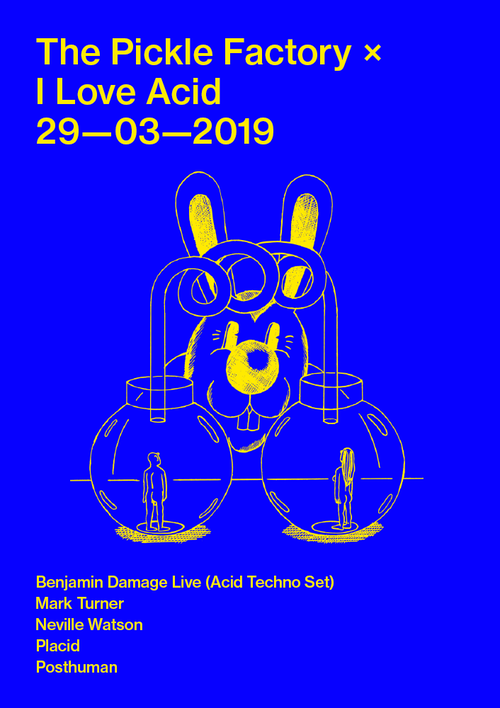 I Love Acid returns to The Pickle Factory on Friday 29th March, with a very special lineup of UK techno & electro greats joining residents Placid and Posthuman, headlined by legendary 50Weapons artist Benjamin Damage, who prepares a special live set of acid techno material for the evening. Admission to The Pickle Factory is at management's sole discretion, pre-purchased tickets do not guarantee entry. If entry is refused to a ticket holder you can obtain a full refund (minus booking fee) by contacting The Pickle Factory after the event.